. إن الخدمات التي يقدمها Coral Sands Resort تضمن للنزلاء إقامة مريحة. إن تسجيل وصول/خروج سريع, تخزين الأمتعة, واي فاي في المناطق العامة, صف السيارات, التوصيل من وإلى المطار هي جزء فقط من الخدمات التي تميز Coral Sands Resort عن باقي الفنادق في المدينة. لقد جهزت هذه الإقامة الفندقية بعناية فائقة لتوفر مستوى عالي من الراحة. في بعض الغرف يجد النزيل تلفزيون بشاشة مسطحة, اتصال لاسلكي بالإنترنت, غرف لغير المدخنين, مكيف هواء, مكتب. يقدم الفندق خدمات رائعة كمثل مركز للياقة البدنية, مسار جولف - ضمن 3 كم, حمام سباحة خارجي, مسبح (للأطفال), حديقة لمساعدتك على الاسترخاء بعد نهار طويل من النشاط والتجوال في المدينة. إن Coral Sands Resort هو مكان مثالي للمسافرين الذين يتطلعون إلى الراحة والاستجمام في كيرنز. تتوافر خدمة الإنترنت/واي فاي بسرعة تصل إلى 500 ميغابايت في اليوم الواحد لجهازين دون رسم إضافي. ولا يمكن تغيير هذين الجهازين بمجرد تسجيل دخول النزلاء إليهما. Location and the property in general were awesome. The pool is great and the lawn/bbq area is great for the kids to run around. The only con would be that the noise from upstairs units can get a bit loud and there are only stairs so if you have lots of luggage or are a bit older, or carrying an injury maybe request a ground level apartment. 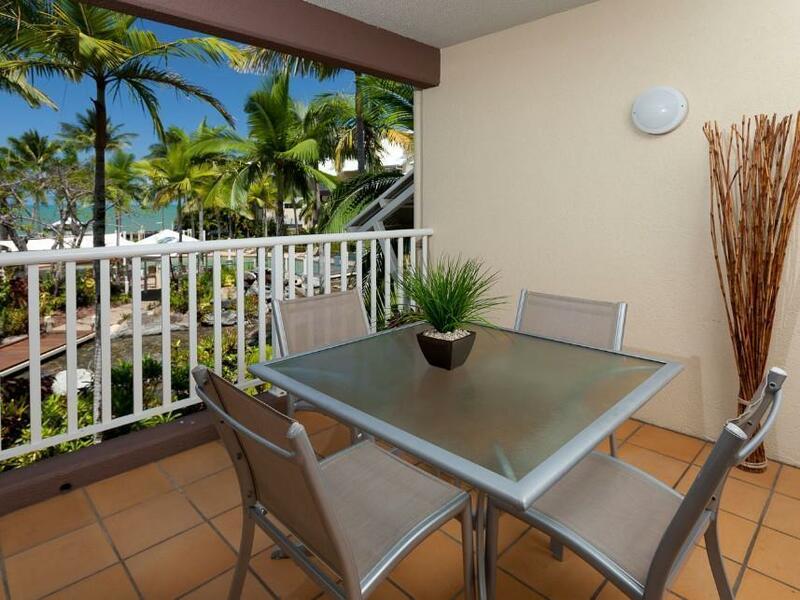 Spacious apartment with all facilities needed and a nice balcony overlooking the pool area. Trinity beach is just across the road but since it was stinger season when we were there, swimming was only allowed within a net. The kids loved the pool though. Really big and there were always sunbeds available. Management was really helpful booking tours and helping out in general. The area has a number of restaurants, but to be honest none of them impressed us much. Prices were relatively high. There’s a grocery store a 15 min walk away though. This was a last minute booking. We were unhappy with the original hotel. We spoke with Grace and she went above and beyond to accommodate us. The space was more than we could of asked for. It was beautiful, spotless and had an awesome view. 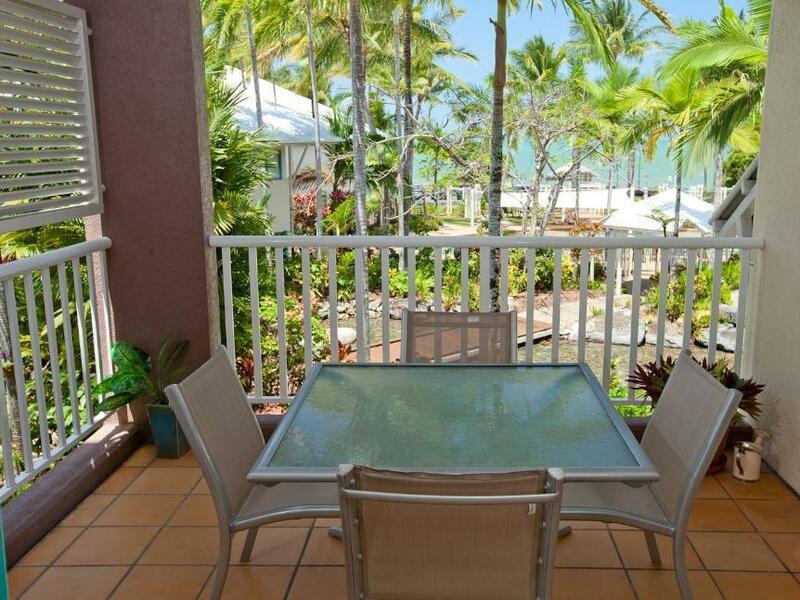 We would highly recommend the Coral Sands Resort. Loved our stay.Apartment a little dated.kitchen pots were disappointing as they were stained.great views from number 28.pool really needs a major update.such a shame because this is such a beautiful location,secluded and looks like mainly Queenslaners and not very touristy.2 nearby restaurants right opposite the beach. Good spot to stay. Clean apartment and good location. Quite spot. We really enjoyed staying here. Apartment was comfortable, fully equiped, (even a coffee machine). Spacious and clean, each room had its own bathroom ensuite. 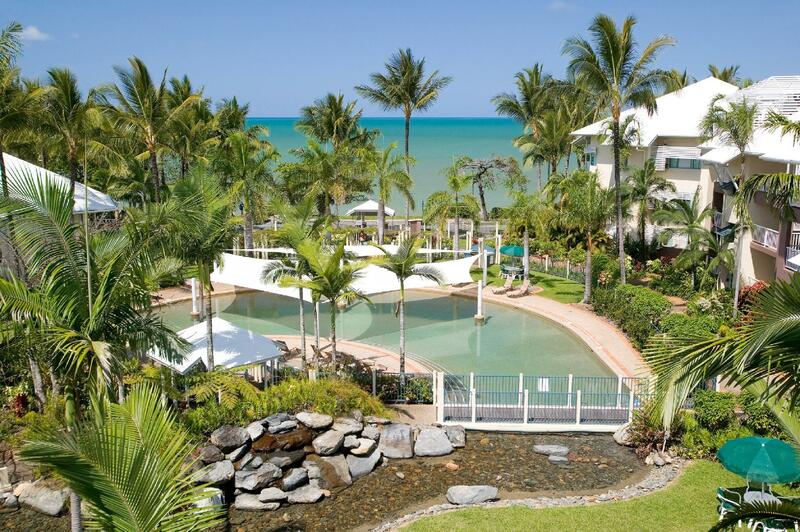 Staff were very friendly and helpful, we booked our day trip to the outer reef departing Port Douglas and we had the best time. Amazing experience and thanks Coral Sands Resort for the recommendation and info. Will look forward to returning to Coral Sands in the near future. Thanks. 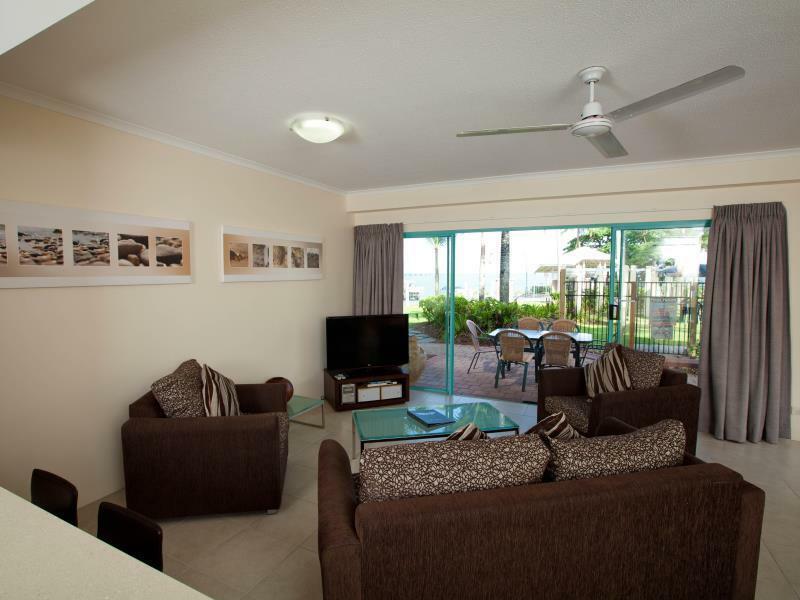 We booked a two bedroom apartment at Coral Sands based on the pool photos, proximity to the beach and previous traveller photos and reviews. We were not disappointed. The apartment is very spacious with a quite well equipped kitchen washing machine dryer and two bathrooms. It also has a bath, which families often appreciated, although there is a large solid shower screen around much of it. There was also a large television, which whilst may seem trivial, was appreciated by my husband and children. Small gripes were that the ventilation in the bathrooms was poor, as was the drainage. They have installed wonderful rain shower heads but the drains aren't able to cope with the volume of water so water leaks out of the shower and onto the floor. The pool and grounds were well maintained. The pool has varying depths, but does get deep rather quickly which can offer limited play areas for very small children. The hotel is not far from the stinger net on Trinity Beach and has beach access. The apartment was spacious, beautiful views. Great location ways to get around. The pool was perfect, everything about this stay was amazing and I highly recommend to all! Rooms are dated but very spacious and have everything you need. The location is ideal and reception staff were very helpful. Overall, if you're not looking for 5 star accomodation, this resort is excellent value for money. We loved staying here. The hotel was right in front of the beach in Trinity beach where it was relatively quiet and locals all know each other. Our room looked over the pool but only partial beach view. Overall, the experience was good and enjoyable. Wouldn't mind staying here again. We had a lovely week at Coral Sands Resort. The setting was beautiful and the apartment excellent. Close to eateries and beach straight across the road. Excellent as ever. 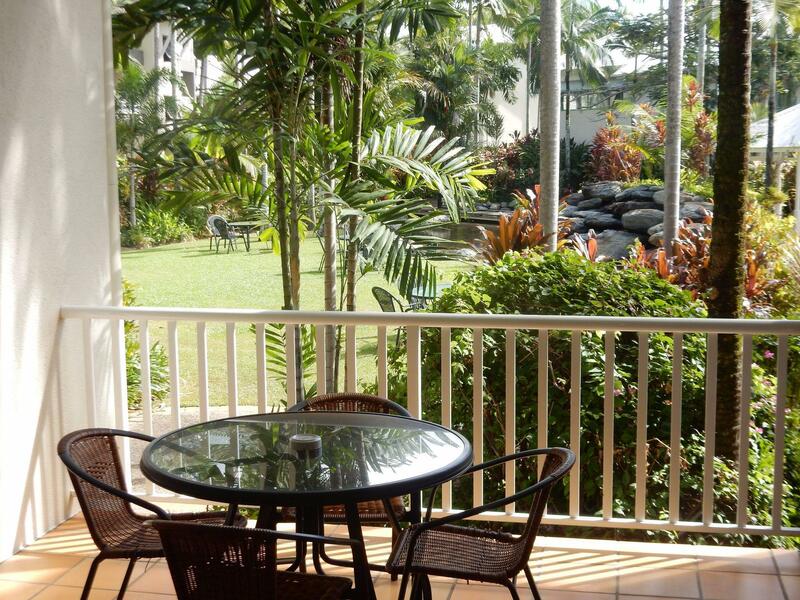 The resort is in the perfect spot and the spacious accommodation is great value for money. But wifi is feeble and stupidly priced. $50 for a week gets you 2 gigs only. Please, Coral Sands management, stop being so stingy and put in some hi speed free wifi. These days it's as important as hot water and comfortable beds. A very basic resort, in some need of refurbishing, still in '80s mode. Location exellent, next door to a fantastic restaurant which is of international standard. 20 mins north of Cairns.